Broken Biscuits Review | The Arcade Archives! Have you ever found a store that you just love everything about it? 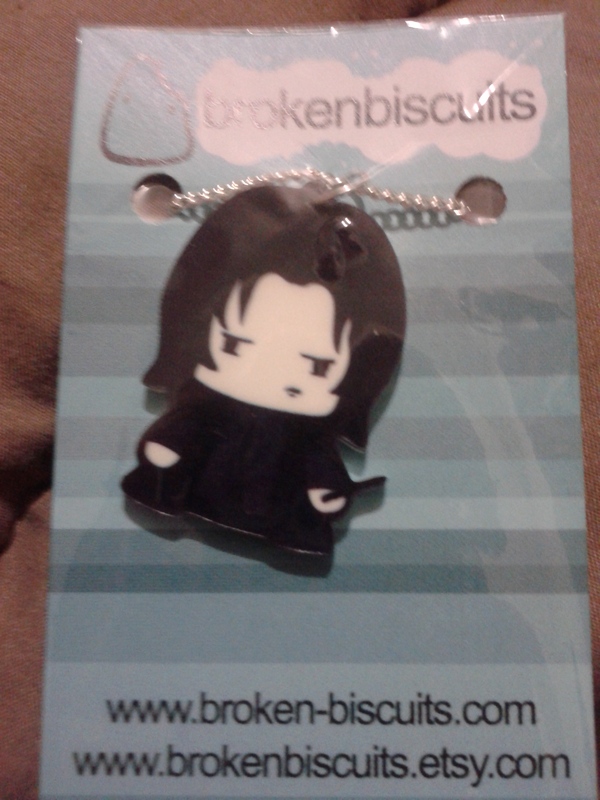 That is how I feel about Broken Biscuits! This store is so geektastic! 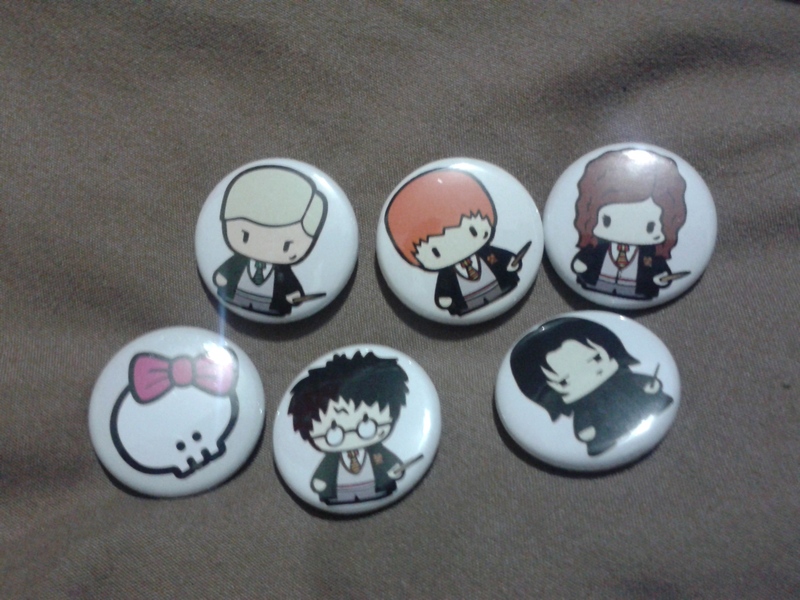 There are several different items from several different fandoms; that are so freaking cute! I was given the opportunity to review a little bit of everything from Broken Biscuits and there wasn’t anything I didn’t love! The necklaces and keychains are made of a laser cut acrylic. They are fantastic and look great in person. I’m telling you the photos don’t do them justice. 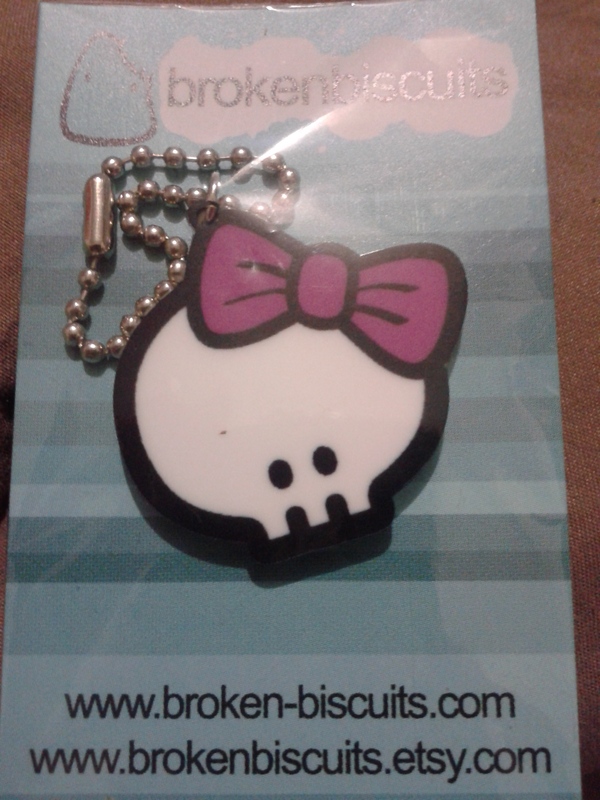 Now I wanted to do photos of the necklace and keychain in the packaging so you could see how great it is. There is such detail to everything they make. The little buttons or badges depending on where you are from are so cute and add just a little flair of geek style to your wardrobe. I personally thought they would be a great addition to my camera case and strap. They are the perfect addition to my camera for cons! I also like that the keychains have the ball chain on them that way if you want to hang them off of something instead of using them on your keys you can. 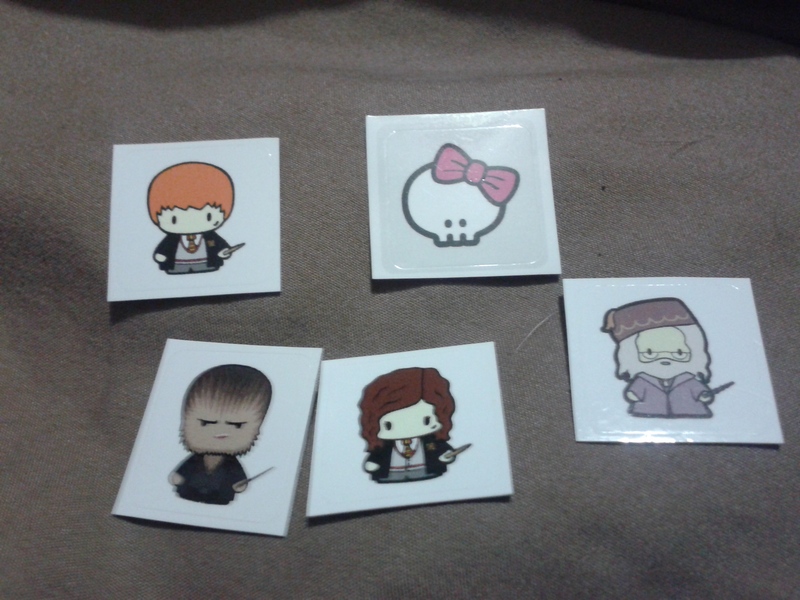 Did I mention there are stickers?? I love them they are small but oh so cute. I really can’t say enough good things about this store. I really just want to buy up everything. 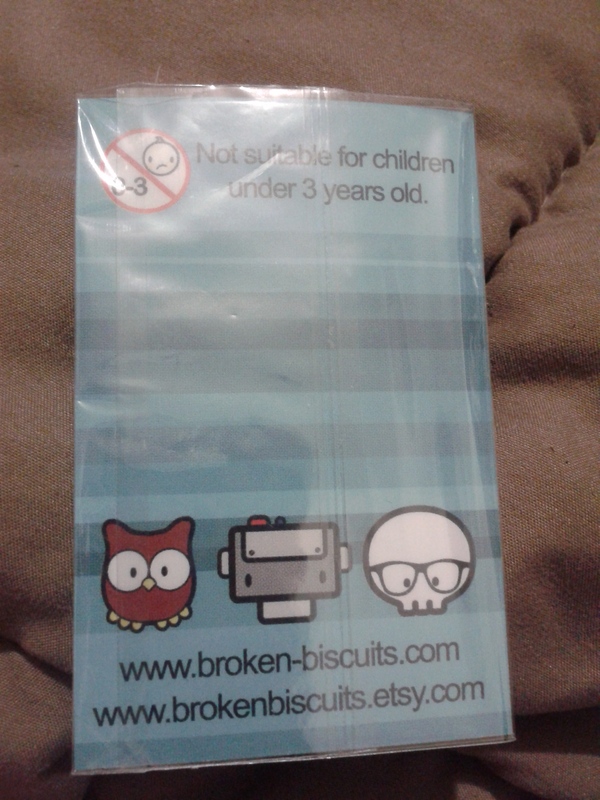 I wanted to show you the back of the packaging as well it’s just so cute. Check them out they are great gifts for yourself or a loved one! This entry was posted in Archive Entries and tagged broken biscuits, Harry Potter, lord of the rings, lotrs, minecraft, skulls by ravenheather. Bookmark the permalink.